The beauty of the 9 yards can never be truly explained in words. If you have been following my blog regularly, you would already know my love for Indian wear, especially the Sari. The only thing that had been coming between me and my eternal love was my inability to perfectly drape it. 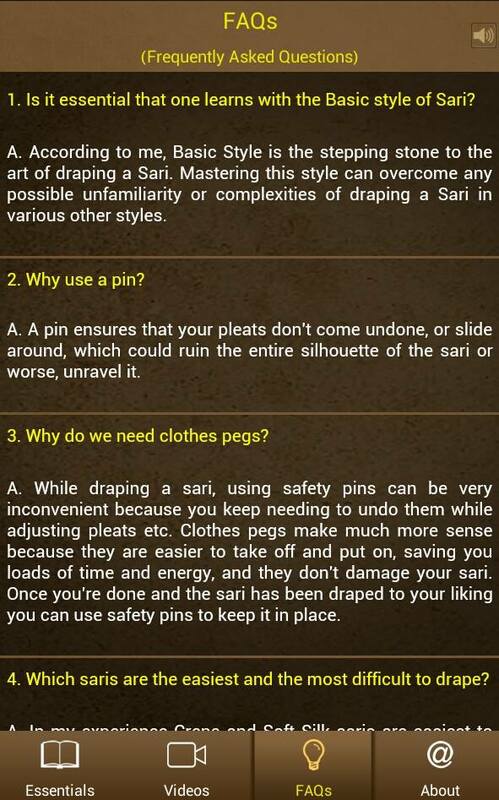 So out of necessity to finally learn the art of draping a Sari, I came across this amazing app: Learn Sari. 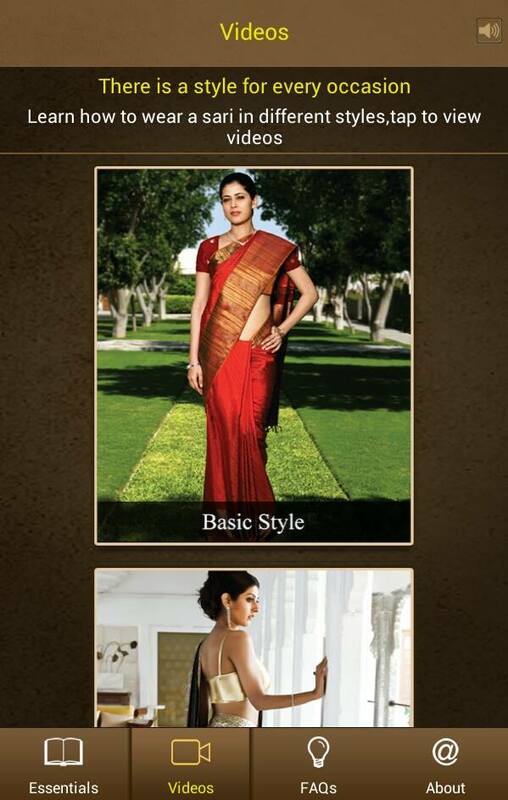 This app, available both for Android and Apple devices, has videos and picture tutorials for draping the nine yards of beauty in different styles, taught by the iconic Kalpana Shah, who is considered the queen of draping the Sari, author of the coffee-table book, “The Whole 9 Yards”. 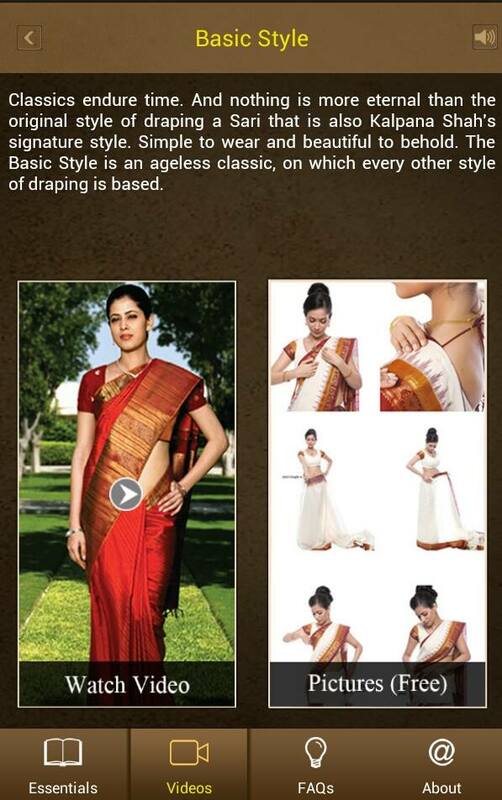 This app has video tutorials and step-by-step picture tutorials of sari draping styles. The different styles include: The Basic style, Corporate style, Gujarati Style, Gujarati Lehenga style, Bengali style, Retro style and the Open Pallu style. 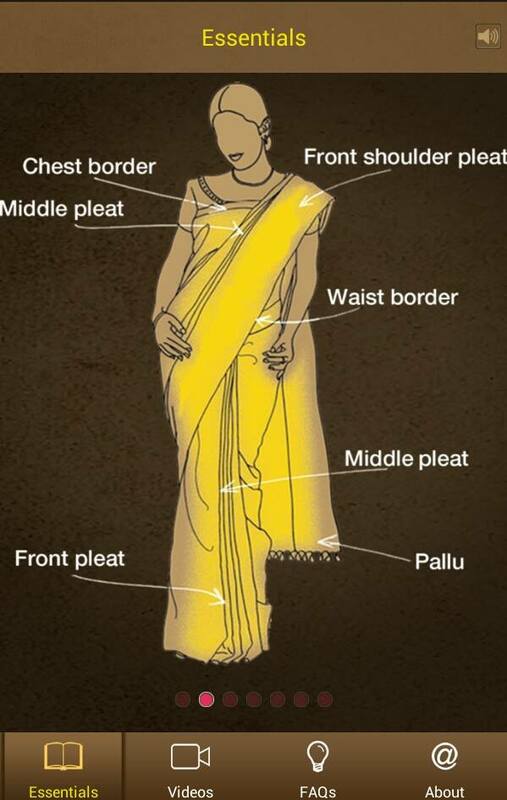 It covers the basic essentials and concepts behind the drape. The app is a free download in Google Playstore, but it has a few in-app purchases. The basic style gets covered under the free download, but for the other styles, it’s 55INR per download. I am on the verge of mastering the basic style now. It is a fun app, and you’ll know draping the 9 yards could be such an awesome experience! Google users, download the app from here, and apple user from here. So, my gorgeous ladies, happy draping!